Receiving a cookbook for Christmas is a tradition established in recent years to expand and improve my repertoire when cooking for the children and for dinner parties. 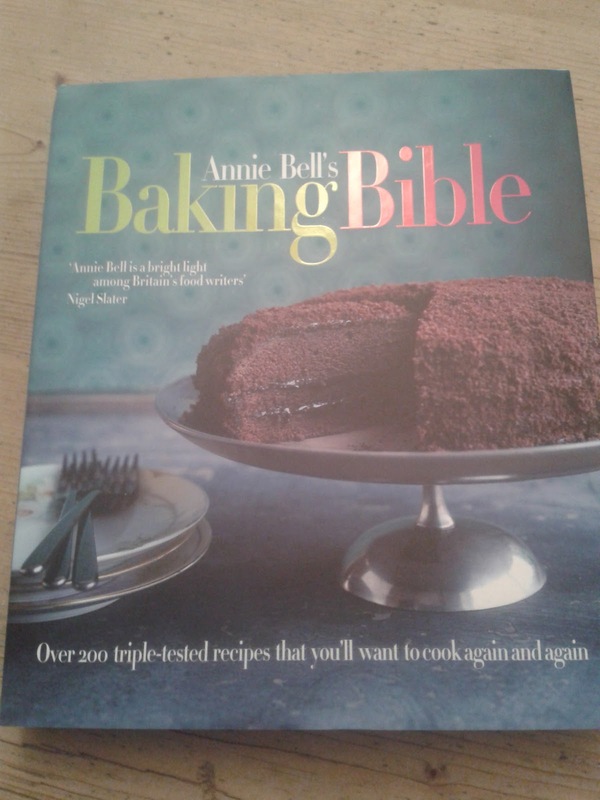 This year, having tried a recipe from it already from a preview in a food magazine, I’ve chosen Annie Bell’s Baking Bible. It has already been bought, signed by Ms Bell herself, and handed over until Christmas Day, but I know where it’s hidden and will jolly well test it out in secret and give it a review, for the benefit of other baking fanatics out there who may be considering a Christmas purchase. Annie Bell is an award winning food writer who used to work as a cookery writer for Vogue, and as a food writer for The Independent. 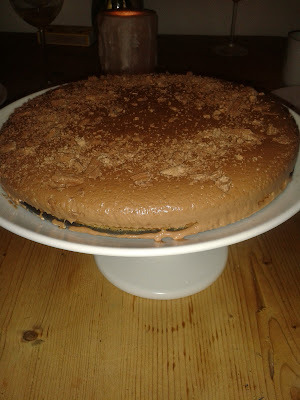 She is now principal cookery writer for YOU magazine and has published several cookbooks. 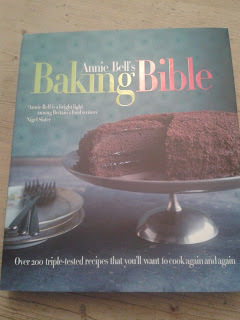 This Baking Bible is a passionate and comprehensive book in which Annie shares with us her favourite cakes and bakes. 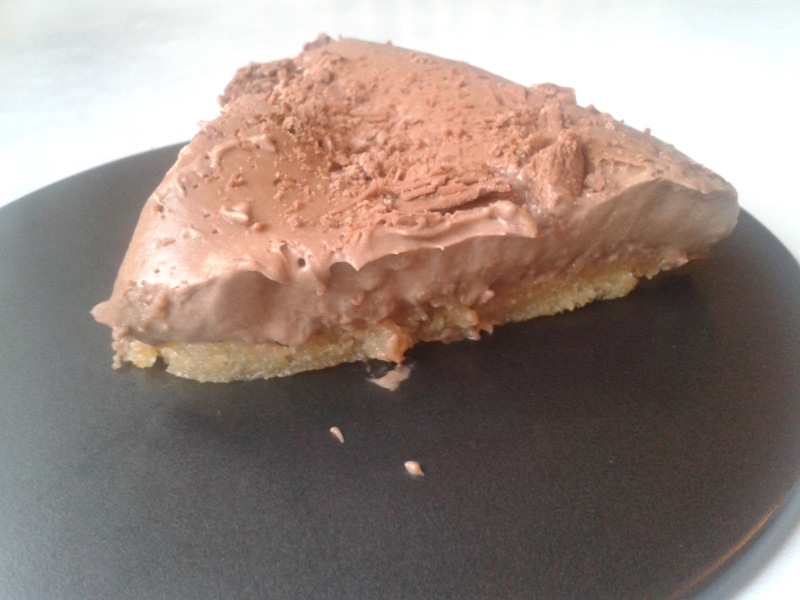 Tweaking classic and favourite recipes, some from her mum or her friends’ mums, some sourced from renowned restaurants and recreated herself, and some simply learnt on her travels, she makes them accessible to the novice baker and to the experienced home baker. She has created or recreated over 200 triple-tested, simple yet impressive, methodical and thorough recipes, and provides, quite literally, a bible for those of us who yearn to create showstoppers for our friends, from nostalgic childhood favourites such as Gingerbread Men and Rock Cakes to modern versions of traditional bakes like Red Velvet cake and Lemon Meringue Pie. 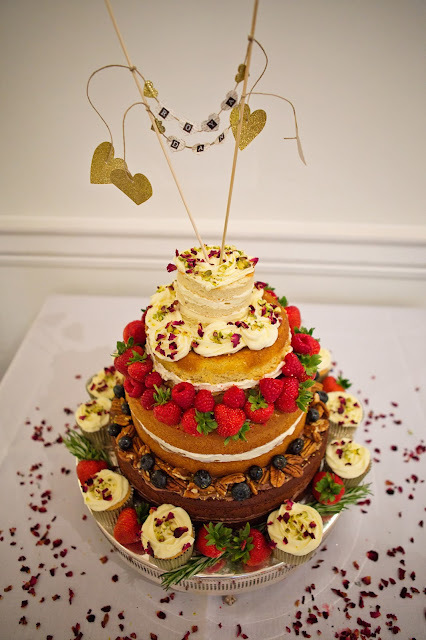 Decoration is optional, giving the baker the choice of keeping it simple or indeed, going for glory. On opening the Baking Bible, you are immediately filled with the desire to make everything in it, and eat those delicious looking treats, entranced by the tantalising photos and encouraged by the uncomplicated and seemingly fool-proof methods to bake, bake, and keep on baking. 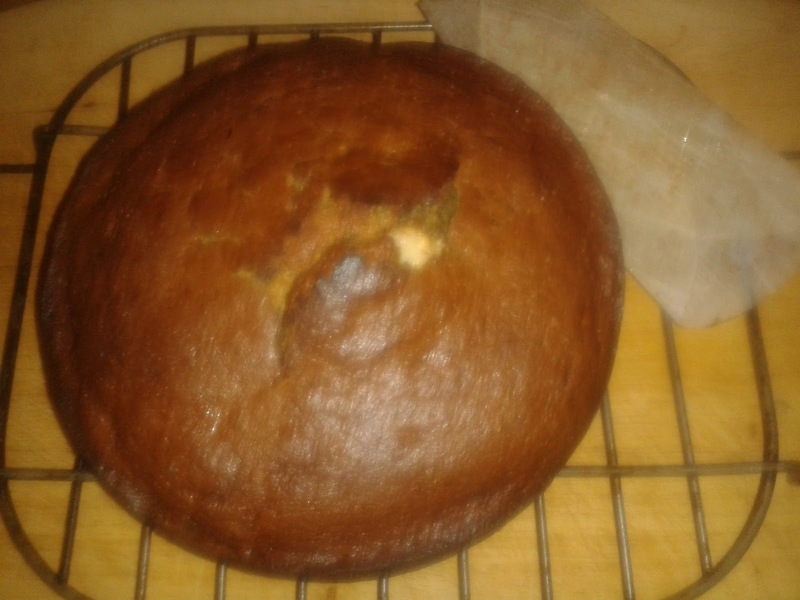 My first attempt at emulating Annie’s genius stemmed from when I was presented with a glut of bananas from a colleague who over-ordered (12 bunches, instead of 12 bananas – you might think they would have queried such an order, but no…), so the obvious choice was Napket’s Banana Bread. 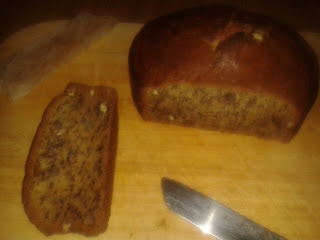 Annie’s own introduction describes her own discovery of the perfect banana bread and her triumph at acquiring the recipe. My replication was a discovery of the perfect banana bread, and my triumph at creating a delicious cake from seemingly nothing. 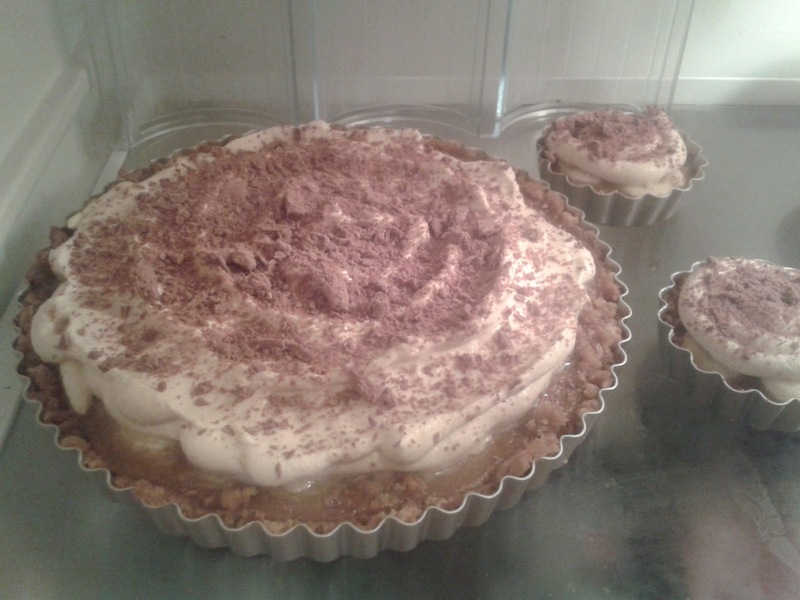 Next I made the banoffee pie. An ‘absurdly indulgent creation’ with a convenient shortcut. ‘Out of this world’ was one reaction from my banana over-loaded friend. and the classic tearoom chocolate Victoria has already been tweeted, commented on and sampled by friends and children. There is nothing over-the-top or too showy in this collection, simply a collaboration of old-fashioned treats (perfect for the current vintage trends) and impossible-to-resist classics tinged with nostalgia. Nor is it a re-hash of previously released recipes; instead we get a well-balanced selection of new offerings presented with an authoritative and personal stamp. Any recipe you may choose to look for is available online. By using but a few simple keystrokes, any ingredient, any dish, any recipe you may wish to find is available. But having a comprehensive, beautifully photographed archive of all the desserts, cakes, biscuits, pancakes, and meringues you could ever wish to bake in one book, with one simple aim – ‘Bake me!’, is invaluable. I cannot recommend this book enough, and this is only from having owned the book for less than a week. Roll on Christmas Day and let this new Bible lead us not into temptation but deliver us our daily bake.